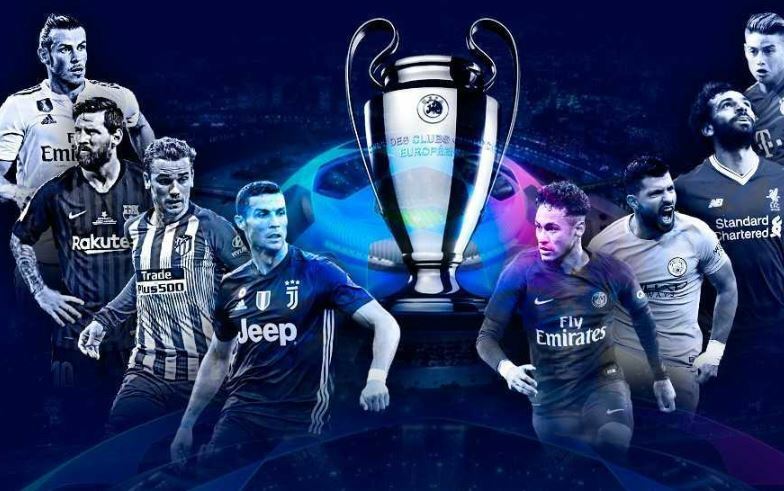 The next stage of the 2018/19 Champions League competition commences this week, so there’ll be plenty of European football action for fans everywhere to enjoy. What’s more, all four Premier League teams who made it into the group stage are still in contention for the coveted silver football trophy. So, which clubs are flying the flag for England and when will they play next? The next two weeks will be important for fans of four Premiership clubs who want to see their heroes seizing some European silverware before the season ends. Manchester United, Tottenham, Liverpool and Manchester City will all be aiming to secure places in the quarter-finals of the 2018/19 Champions League competition. Manchester United host the opening match of the round, taking on Paris Saint-Germain on Tuesday 12 February. The Reds, who finished second in Group H, will be hoping to capitalise on their recent run of domestic success under Ole Gunnar Solskjær – and the news that Neymar won’t be fit to play and Cavani is in doubt is sure to boost their confidence even more. Spurs, meanwhile, who were knocked out by Juventus at this stage last season, will be hoping to give themselves the advantage by triumphing against Borussia Dortmund at Wembley Stadium the following night. The remaining Premiership Clubs will also be taking on opponents from the Bundesliga, although their ties won’t take place until next week. Anfield is set to be packed on Tuesday 19 February as Liverpool attempt to defeat Bayern Munich. Both teams still have their eyes on domestic titles, so will either be less focussed as a result? The final English club to attempt to progress from the round will be Manchester City. The Sky Blues, who were the winners of Group F, will travel to Gelsenkirchen to take on Schalke on Wednesday 20 February. The Battle for Quarter-Final Places – Which Other Clubs Are In The Mix? While the other four ties may not feature English clubs, they’re still likely to make for gripping viewing. Roma are scheduled to meet the 2004 Champions League winners, FC Porto, at the Stadio Olympia on Tuesday 12 February, while Real Madrid, who are trying to win their fourth back-to-back title, will visit the Amsterdam Arena to take on Ajax the day after. The Group F runners-up, Lyon, will be hoping that home advantage and the fact that Arthur, FC Barcelona’s Brazilian midfielder, is out of action, will boost their chances of beating the La Liga team on Tuesday 19th February. Finally, Juventus will make their tenth Champions League round of 16 appearance when they take on Atlético de Madrid at the Spanish club’s home ground on Wednesday 20th February. Do you think one of the four English teams has what it takes to win the 2018/19 trophy? Tell us below or chat to us on Facebook or Twitter.